Not quite sure how you might happen to be on the right track to actually find the signpost in the first place! 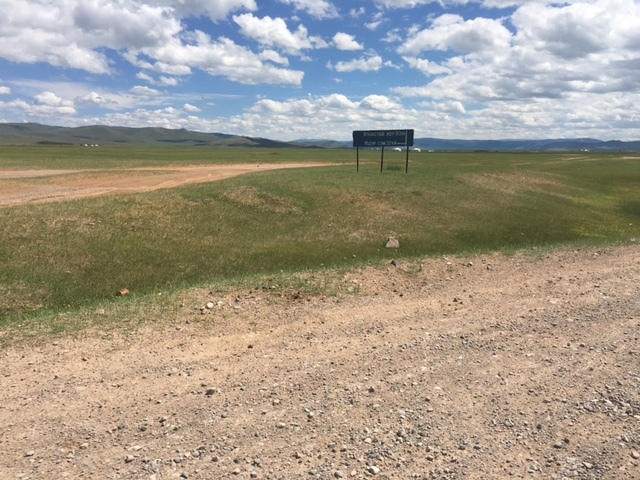 Fortunately we have Route Books, Monit and GPS and my Mongolian is not up to much anyway so the signpost is just a waypoint in our Route Book. We were also provided with a map book but other than the occasional glance just to see where we are in the world it is stuck in the back of the car (as with most of the crews) and not referred to as we don’t really need it for navigation. A sad consequence of this is that as the Route Book is basically just ‘Tulip’ charts – i.e. rally directions – and does not have towns and villages marked by name we are hurtling through Mongolia knowing where we are on the road but not knowing so much about what we are passing in the country. This is of course research we should have done before we started but there was a lot of other preparation to do and I had had a vague thought that I would have time on the rally – you don’t!